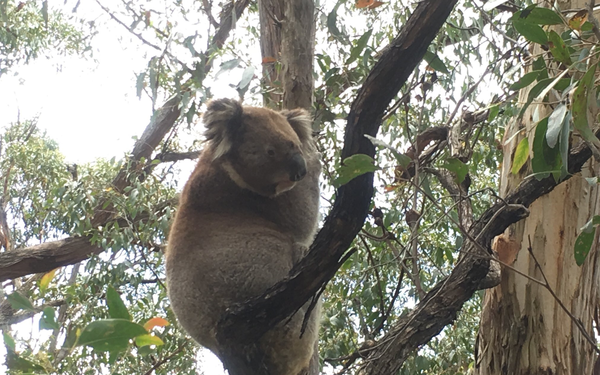 A grumpy koala – named after the CEO of Virgin Airlines – has become the face of the Mount Cannibal and District Preservation Group’s (MCDPG) tireless battle against a proposed super quarry in Bunyip North. 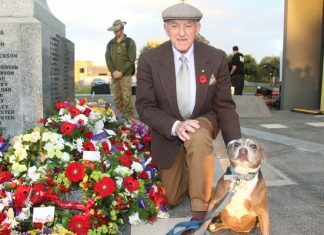 Branson, who lives a stone-throw from the mega development’s earmarked location, has become a cherished member of the community. However, his livelihood is at stake. Proponent Hanson has splashed out on land in Bunyip North for the controversial project, now owning an area the size of Melbourne’s CBD. The proposed quarry site is less than 400 metres from Mount Cannibal and within 1.5 kilometres of 71 homes. It is widely believed the excavation will wreak havoc on the environment, especially due to the project’s “massive” scale. MCDPG secretary David Bywater said the iconic koala was named after Richard Branson because of the business magnate’s commitment to protecting endangered species. “He has even reached out and responded to us a couple of times to wish us luck,” Mr Bywater said. “Branson, the koala, is a genuine local resident – as well as a character – and we want to protect him. “If this quarry location gets the nod, it’ll be a hell of an upheaval for all of the people who live here. It comes as the group is gearing up to host its annual general meeting on Sunday 18 November. The issue is currently in limbo, in wake of Hanson’s announcement that the Environmental Effects Statement (EES) had been delayed. It was first ordered by Planning Minister Richard Wynne in 2015, and is not expected to be complete until 2020. In the meantime, MCDPG is desperate for dedicated committee members. Those concerned are invited to attend the Tonimbuk Hall at 2pm to join the fight.